Welcome to the latest edition of our weekly newsletter. 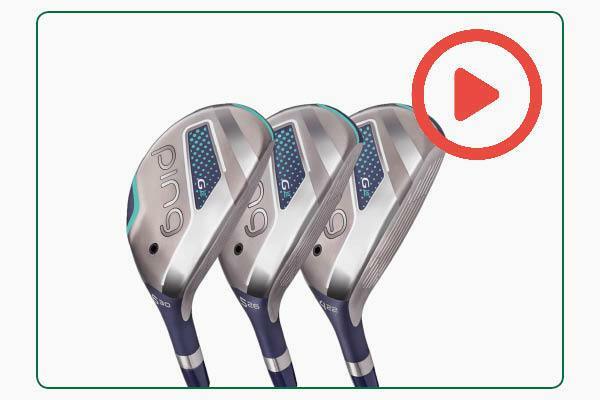 In this week's email, we talk about how to generate power without swinging faster, we review last weekend's GolfSixes where England and European Women impressed, and we take a look at the luckiest ever shots on the European Tour. This video is about How to Stop Rushing the Downswing. We would all like to get more power from our driver and our irons but I’ve found golfers go about it the wrong way. 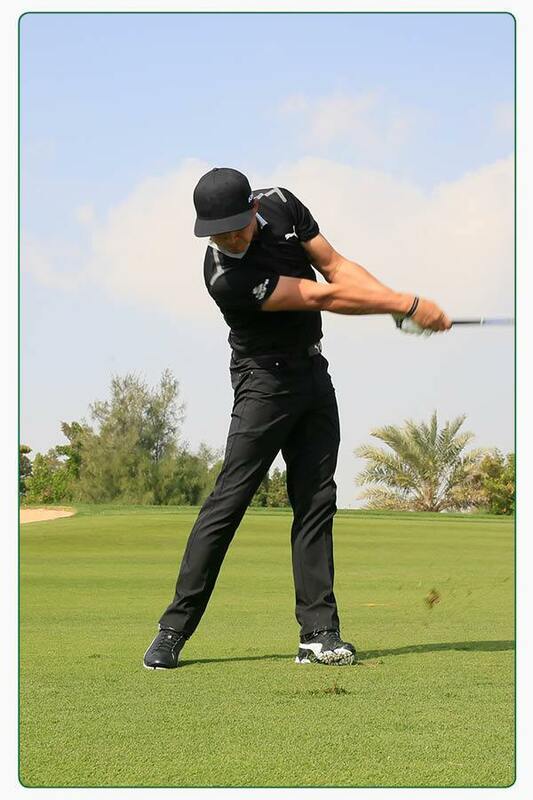 They tend to rush the downswing and leading to weak inconsistent shots. They key to more powerful drives and irons is a smooth transition and this video gives two neat tricks on how you can create a downswing that will give you effortless power Its time to start maximising your power and potential. Whilst many of you spent the Bank Holiday weekend basking in glorious sunshine – and we don’t blame you – 16 pairs battled it out in the second edition of GolfSixes. Split into four round-robin groups to begin with, only the top two pairs from each could proceed to the quarter-final stage, which saw both all-female teams (England Women and European Women) make it through to the final eight. Sadly, both female teams failed to advance to the semi-finals, with England Women losing out to eventual winners Ireland, represented by Gavin Moynihan (who has failed to make a single cut so far this season) and Paul Dunne. Ahead of golf’s unofficial fifth major taking place at TPC Sawgrass this weekend, Australia’s Jason Day has returned to world’s top 10 after a superb display at the Wells Fargo Championship. Taking place at Quail Hollow – the scene of last year’s PGA Championship – Day shot a gritty 69 on Sunday to finish two clear of his nearest challenger, admitting afterwards that he ‘had no idea where the ball was going, especially off the tee.’ For those of you wondering, yes Tiger Woods did play but he finished in a lowly tied 55th. If you haven't taken advantage of this promotion yet then you only have a few days left to get £25 OFF a new Lithium battery when you trade-in your old battery. Just to remind you, Lithium batteries charge quicker, last longer and work out far cheaper in the long run than standard Lead Acid alternatives. What are you waiting for? Yes, we've enjoyed a record-breaking Early May Bank Holiday weekend without a sweater in sight, but the reality is temperatures will soon get a little cooler over the coming days. To combat the chill whilst on the course, especially early mornings or late evenings, consider a ProQuip quilted windproof, which provide lightweight warmth whilst blocking out any wind. Click here to explore the range. Let’s face it: we all want to hit the ball further. Being able to hit longer drives gives you less club into the green, making everything that little bit easier. There are many ways you can try and generate more power during your swing, and nearly all of them start from the ground up. 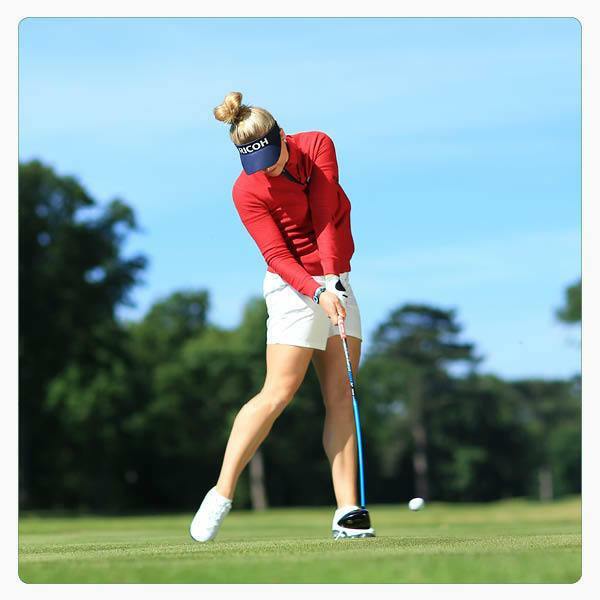 As you can see in the three images above, this lady professional pushes off from her right foot through impact and relies on great grip and stability to ensure the power her body is creating doesn’t come at the cost of control. Having a strong base is something we should all aspire for. 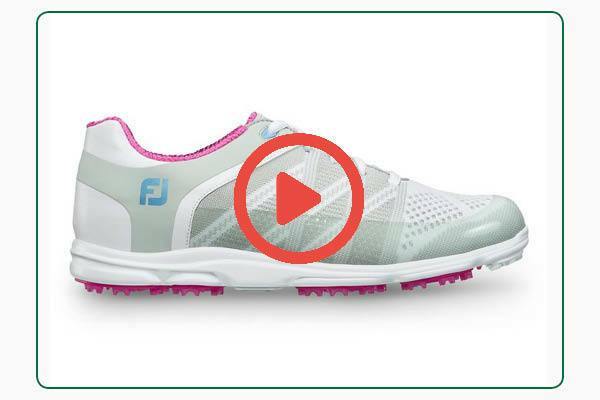 Despite having a versatile spikeless sole, the women's FootJoy Sport SL can help you do this thanks to turf gripping nubs on outsole pods that provide plenty of traction across all terrains. Despite his small frame, tour star Rickie Fowler is renowned for his power. As you can see in the three images above, he pushes off from his right foot through impact and relies on great grip and stability to ensure the power his body is creating doesn’t come at the cost of control. Having a strong base is something we should all aspire for. 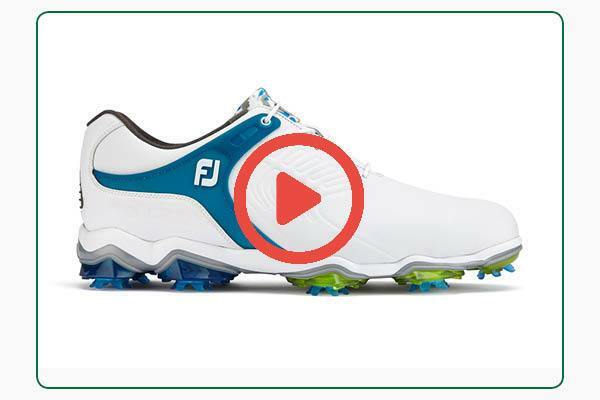 The FootJoy Tour-S can help you do this thanks to its PowerStrap that enhances support, plus its nine cleats per foot that offer maximum stability across a range of terrains. Do you struggle for distance and accuracy with your long irons? This PING G Le hybrid offers a confidence-inspiring head size and a lighter swing weight that makes it forgiving and easier to get airborne. Its flexible face also increases ball speed for distance and its heel-sided CG fights fades and slices for a straighter ball flight. Do you struggle with distance and accuracy with your long irons? 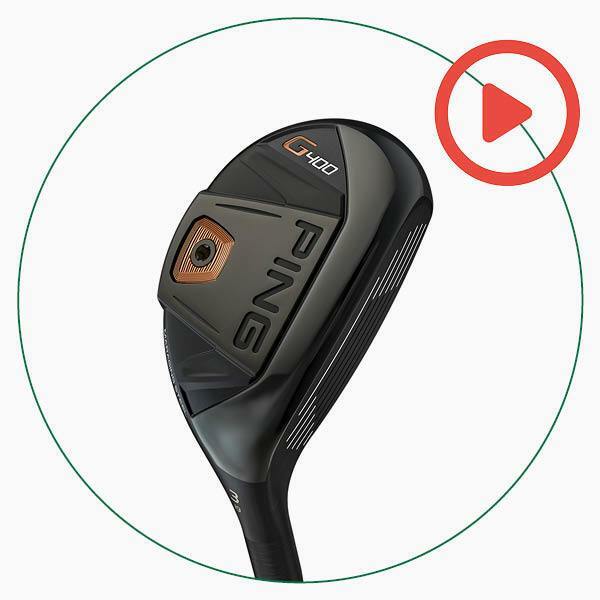 This PING G400 hybrid can offer you lots of forgiveness on heel or toe strikes. Its thin face and cascading sole also increases flexing for a higher launch with fast ball speeds, making it a great option off the tee and into long par-4s. 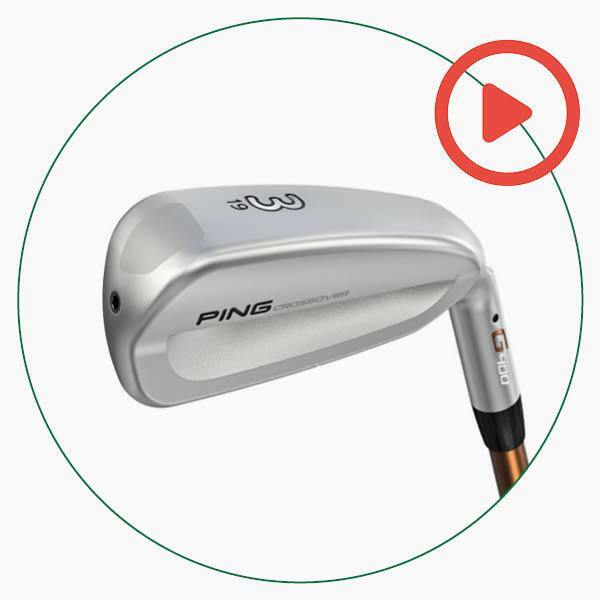 If you’ve always found irons easier to hit than woods, this workable PING G400 Crossover utility iron offers all the benefits of a driving iron but with lots of modern distance and forgiveness. The result is a confidence-inspiring club you can use to hit long and accurate tee shots, but that’s also easier to launch than your long irons off the deck. Callaway has dominated the driver market over the past 12 months with Rogue following Epic as outstanding offerings for those golfers seeking a premium driver. But we know that some of you want something a little cheaper that still offers fantastic performance, and this is where the XR Speed comes in. 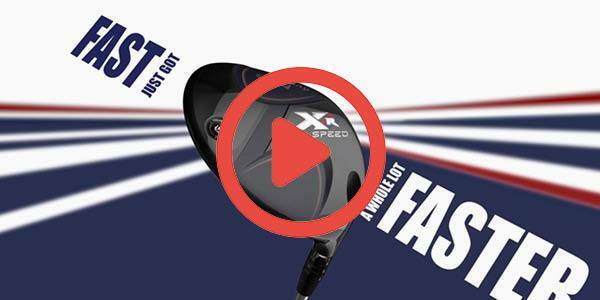 There are only two things that you need to know about this driver: exceptional ball speed and improved forgiveness. Golf’s a game of fine margins of which luck plays a huge part. In this video, we’ve gone over the history books and come up with the luckiest shots ever on the European Tour. How many do you remember?